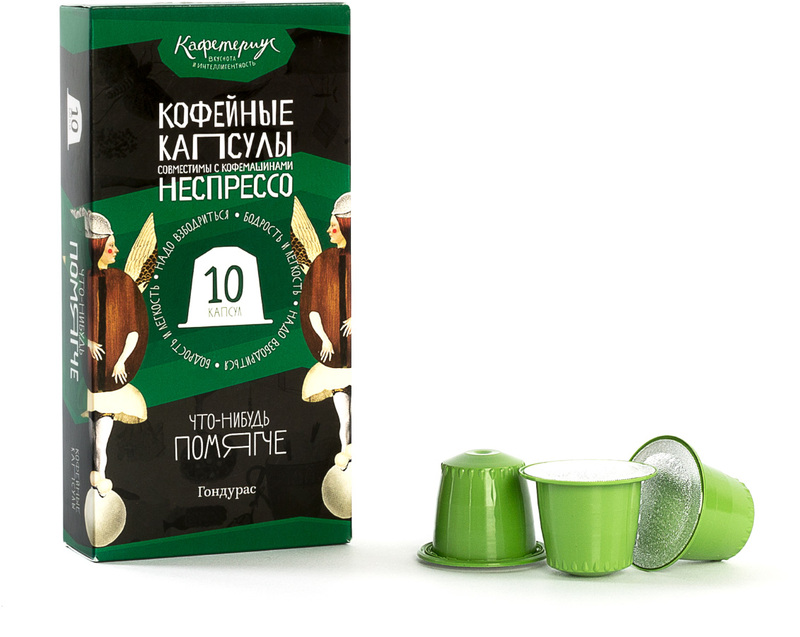 to produce capsules for Nespresso coffee machines. For many years, Caféterius has been producing its own coffee blends and single-origin coffees (both making incredibly good-tasting coffee). These blends and coffees are perfect in every way except one: few people want to purchase a very expensive espresso machine (machines in each Caféterius cost 10 000 USD) and fine-tune their grind. More often than not, coffee grinders at homes and offices are of unbelievably poor quality. Which is why people who have a discerning taste in coffee but can’t purchase an expensive coffee machine end up buying capsule machines, the best of which are made by Nespresso. They are more expensive than others but produce a much better tasting coffee. Caféterius launched production of its own Nespresso capsules, making them cheaper and better. 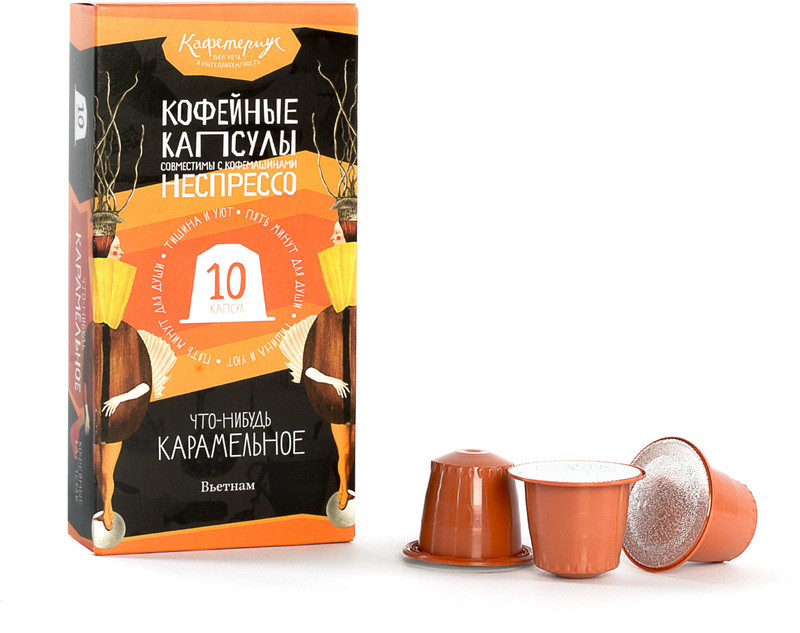 The result are three types of capsules with the best coffee. Balanced coffee with a smooth flavor. We took beans from Honduras, roasted them, ground and carefully packed into a capsule. The taste has notes of hazelnuts and cocoa. Flavored coffee from Vietnam with a sweet taste and aroma. Of all the variety of available flavors we picked the one that is the most creamy and tasty, caramel. Notes of caramel and toffee open up in the cup. The coffee will be appreciated by everyone with a sweet tooth and especially children. Strong coffee from Mexico with a spicy bitterness and lingering aftertaste. The flavor has distinct tones of walnuts and a subtle hint of cinnamon. Warning: the coffee is incredibly invigorating! The capsules work in all Nespresso machines. 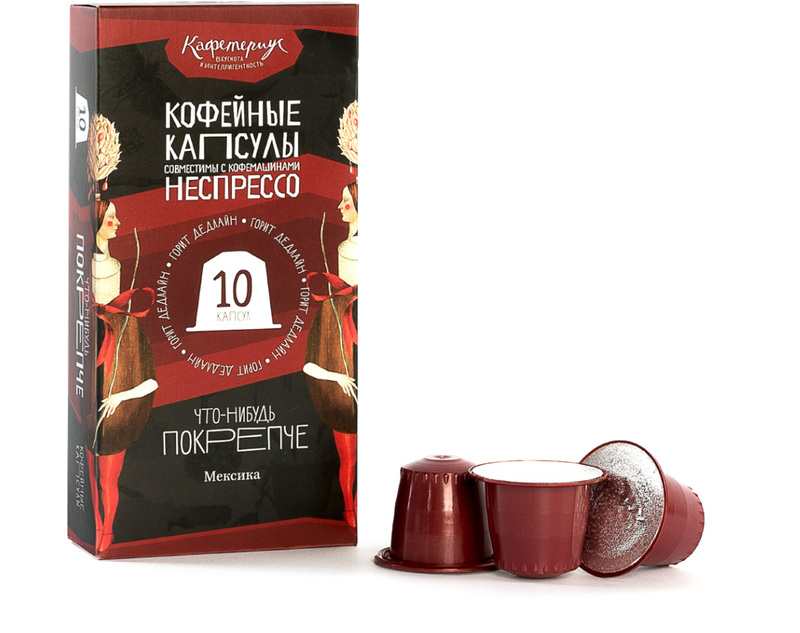 Each box contains ten capsules that can be used to make ten cups of espresso or lungo. Added bonus: our capsules have the most beautiful packaging in the world.